﻿ African : A Zulu trade bead necklace; woven with red and white glass beads. 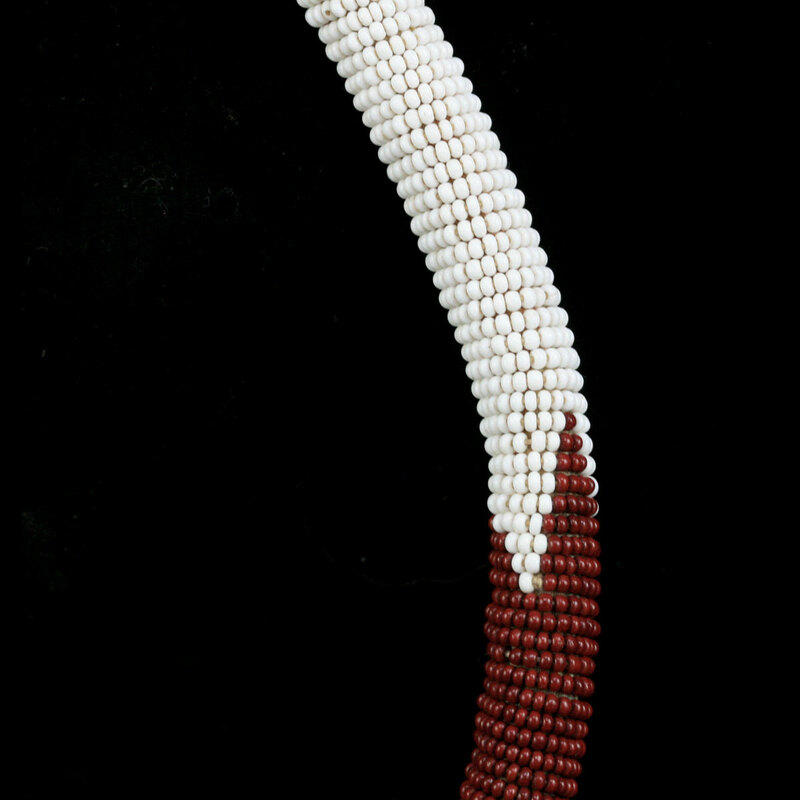 A Zulu trade bead necklace; woven with red and white glass beads. 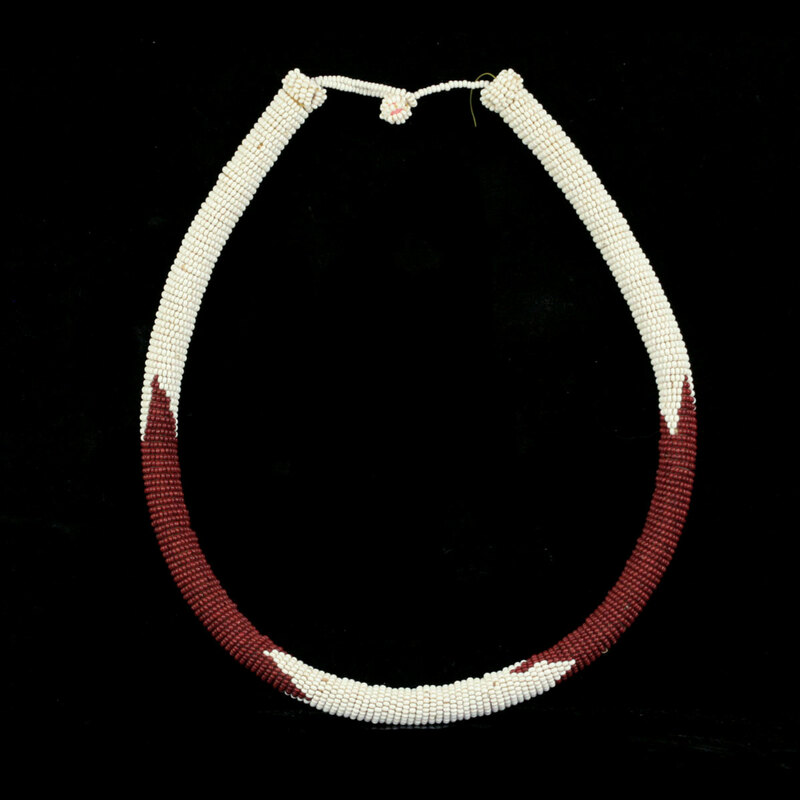 A Zulu trade bead necklace; woven with red and white glass beads..